Many people are so concerned with their physique and their weight that they spend hours a day training at the gym a day. The dedication is definitely something to admire, however it is all wasted effort if you aren’t eating properly. Unless you are a professional endurance athlete, the amount of calories you are going to save through a healthy diet is going to by far exceed how many you can burn through a workout so it is essential to know what foods to eat, and what foods to avoid. Many people get too fixated on just the caloric content of the food itself which is important, but it doesn’t tell the whole story. You have to consider what effect these foods are having on your metabolism overall, which includes things like sugar content, salt content, fat content among other things. Not eating properly is going to cause you to gain weight, and if you manage to alter your metabolism in the process, it can really be difficult to get back on track. This is because low metabolism can lead to fatigue, hormone imbalances, blood sugar fluctuations, mood changes and other health effects also. 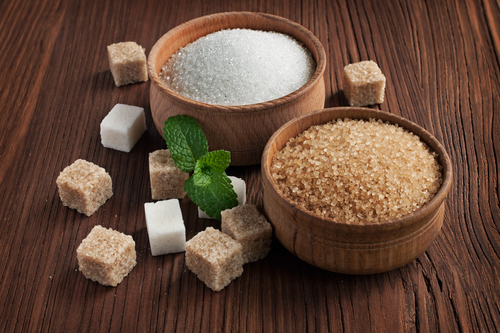 Most of us know to avoid certain foods like candy and soda, however other foods that can really hurt our metabolism aren’t as easily identifiable and some even are routinely thought of as healthy. Avoid these foods at all costs when trying to keep your metabolism in check. People see the word fruit and automatically think it is healthy, and in the case of energy drinks many athletes use them so they must be healthy for us, right? The problem with fruit drinks isn’t necessarily the sugar itself, it is the lack of fiber and other nutrients that go along with it. Fruit juice is unhealthy because all of that sugar is digested quickly and absorbed in to the blood stream, causing a spike in the glucose levels in the blood. This spike in blood sugar leads to an increased level of energy, but also will lead to a crash afterwards. Over time this can lead to insulin resistance and diabetes if kept unchecked. 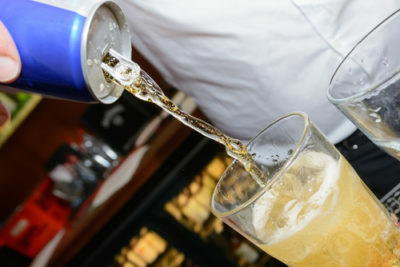 Unfortunately when it comes to healthy alternatives to fruit juice and other sugary drinks there aren’t too many options. If possible the best option is to just switch to water altogether, but the lack of flavor just doesn’t do it for many people. If so, try adding lemon or lime to your water to give it some flavor. Grains consist of a huge part of our diets, and can contribute to our health greatly if we eat the correct types. Unfortunately this isn’t the case for many people, in that they eat processed refined grains. Refined grains have the outer part of the grain or bran, removed during the processing of the grain. This is bad for us because that outer part contained all of the fiber in the grain, which helps to slow the digestion of the remaining carbohydrates found within the grain. Without the fiber you get similar effects during digestion that you do with fruit juice, the body is able to digest and synthesize these sugars way too fast which results in a high blood glucose level. Instead of eating refined grains, stick to whole grains in their natural form. Eating more of these whole grains can help balance your blood glucose levels, while keeping you full at the same time. Both of these things are going to help you keep off those pounds in the long run. 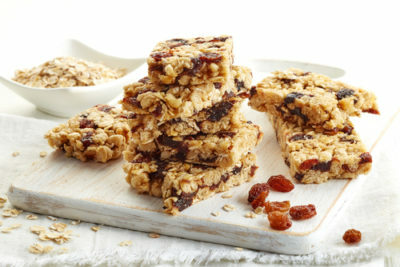 Granola bars, trail bars or whatever other names they have rely on the implication that they are health foods in order to get the consumer to buy them. Most granola sold in stores isn’t healthy to begin with, because of all the additives that the manufacturer adds to the product. This includes added sugar, salts, and fats. Granola may sound healthy, but similarly to the processed grains on this list, it is highly processed as well and is generally unhealthy to eat. If you really love granola or power bars you are better off making them yourself, and you can control exactly what goes in to every bar which can better help you maintain a balanced diet.